Most of my ancestors were farmers. They were among those who cleared and worked the land, a difficult but rewarding job that played an important part in the growth of our country. Johann “Jacob” Miller, my great grandfather, emigrated from Bavaria in 1871. On the ship’s passenger list Jacob stated that he was a farmer and that his destination was Indiana. After arriving in America he immediately settled in Mercer County, Ohio, near Chattanooga. Some of his Kessler relatives were already living in the area and I believe he settled here because of them. Immigrants most often moved to an area where family or neighbors from the old country had already settled. 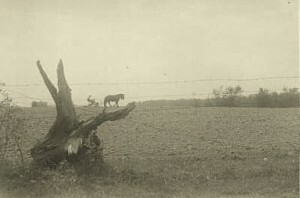 He purchased 80 acres of land in Section 30, Blackcreek Township, in 1873, just half a mile from the Indiana state line. What was Jacob’s land like 20 years before he purchased it? The 1853 Mercer County Plat book shows that the 80 acres was divided and owned by two individuals, Hiram Spry and Wallen Carter. Hiram owned the 40 acres that bordered the road. In 1853 that piece of land was described as excellent land with good timber, rather flat, 17 acres plowed, and 3 acres of meadow. There was an old hewn log house and a young orchard with apple and peach trees. All this was valued at $328. The back 40 acres was described as excellent land with good timber, 5 acres partially cleared, no fence, a new cabin, but no flowers. This land was valued at $265. It appears the lack of flowers made a big difference in the property’s value. Let’s fast forward 17 years and see what Jacob Miller’s farm was like in 1880. To get that information I looked at the 1880 agricultural census of Mercer County. We are all familiar with the U.S. Federal Census schedules, sometimes called population schedules, but other special census schedules were produced over the years. These are referred to as non-population census schedules. Among them are four agricultural schedules, taken during the years 1850-1880. They are separate schedules that list the production for all the farms in America, organized by state, county, and township. 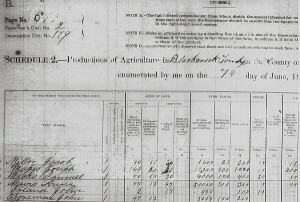 Although there is not really any genealogical information in the agricultural census schedules, they do contain interesting information about the farms at that time. Jacob owed his land and it was divided as follows: 46 acres tilled, including fallow & grass in rotation, pasture, meadow; 10 acres of permanent meadows, pastures, orchards, vineyards; 24 acres of woodland and forest. The value of his farm, including land, fences, and buildings: $1600; value of farming implements and machinery: $25; value of livestock: $300; cost of building and repairing fences in 1879: $15; cost of fertilizers purchased in 1879: $0. Jacob paid $12 for wages for farm labor during 1879, including value of board. Value of all farm productions, sold, consumed, or on hand in 1879: $400. Grass lands mown: 6 acres; not mown: 3 acres. Products harvested in 1879: 15 acres of hay; 5 acres of clover seed; no grass seed. There were 2 horses on hand 1 June 1880, but no mules or asses. He owned 2 Milch [dairy] cows; 4 others; 1 calf was dropped 1879; he owned no working oxen. Cattle purchased, sold living, slaughtered, died, strayed, stolen & not recovered: 0. Milk sold or sent to butter/cheese factories in 1879: 100 gal; Butter made on the farm in 1879: 50 pounds; Cheese made: none. Jacob had no sheep, but he owned 37 swine and had 18 barnyard poultry and 10 others; Eggs produced in 1879: 50 doz. Cereals grown on the farm in 1879: No barley, buckwheat, or rye; 13 acres of Indian corn produced 500 bushels; 7 acres of oats produced 180 bushels; 15 acres of wheat produced 180 bushels. Not grown in 1879: Canada peas, beans, flax, hemp, sorghum, maple, broom corn, hops, sweet potatoes, or tobacco. Irish potatoes grown in 1879: ½ acre, which produced 20 bushels. Jacob had a 1 acre apple orchard in 1879 that contained 15 bearing trees from which they picked 40 bushels. He did not grow any peaches, nor did he have any nurseries, vineyards, market gardens or bees. Forest products in 1879: 25 cords of wood cut, valued at $25. I thought the information in this census was interesting. For one thing, it appears that the family kept busy making butter and gathering eggs. They had quite a few hogs, too. I also noticed that he didn’t have to buy fertilizer back then. 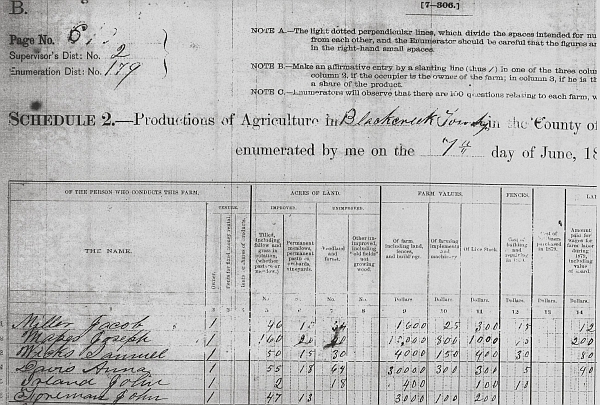 This agricultural census gives us a good indication of what Jacob Miller’s farm was like in 1880. 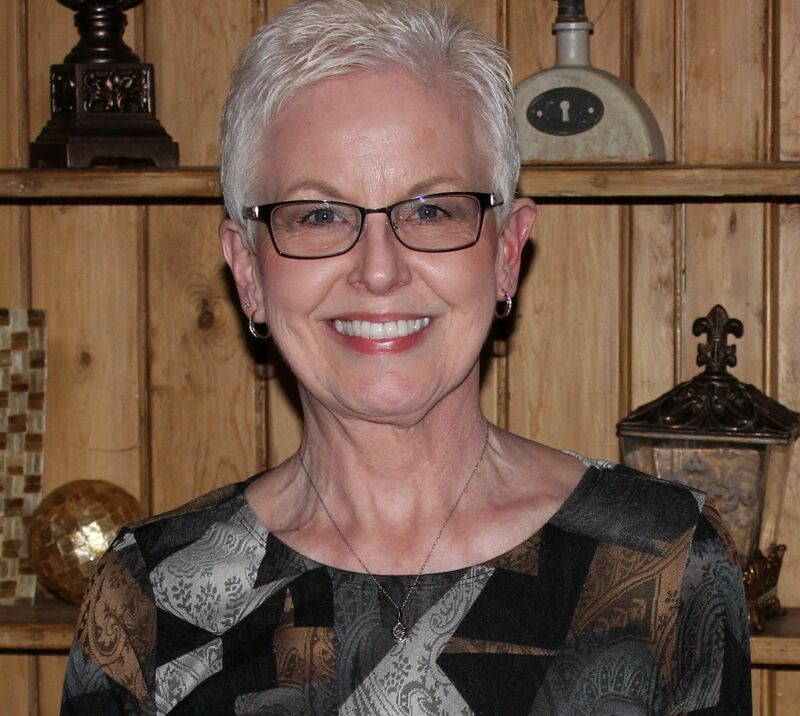 Look for more information about the farm and the Miller family in weeks to come.